We’d love your help. Let us know what’s wrong with this preview of The Story of Us by Dani Atkins. How A gripping love story from the bestselling author of Fractured. 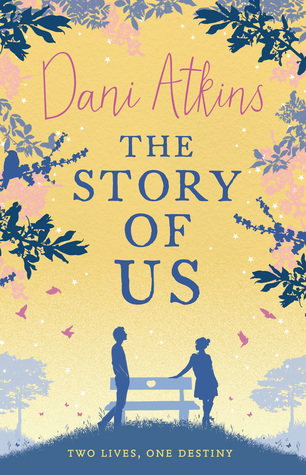 The Story of Us is the second book by Dani Atkins. It was first released in the UK last year and is due out in June here in the U.S. Her first book, Then and Always was a completely wonderful book. So I had high expectations for this second one. And let me tell you, it did not disappoint. Just when you think you are exactly where you want to be, that your life is going in just the direction it was meant to, life has a way of turning everything upside down. One little moment in time can change th The Story of Us is the second book by Dani Atkins. It was first released in the UK last year and is due out in June here in the U.S. Her first book, Then and Always was a completely wonderful book. So I had high expectations for this second one. And let me tell you, it did not disappoint. Just when you think you are exactly where you want to be, that your life is going in just the direction it was meant to, life has a way of turning everything upside down. One little moment in time can change the entire path your future is set to take. Emma Marshall is a twenty seven year old woman who was just embarking on a successful career when she decided she needed to go home to help her Dad take care of her ill mother. After coming home and reuniting with her two best friends, she also rekindled her romance with her childhood sweetheart, Richard. They soon became engaged and the wedding is just two weeks away. It’s the night of the bachelorette party as I would call it or ‘hen’ party as she calls it. A tragic event that night changes the entire course of Emma’s life. A tragedy that only two of the three best friends would walk away from. Jack just happened to be on the road that night. He is the one who saved Emma’s life. A bond was formed that night between Jack and Emma, a bond that neither of them could understand but it was there none-the-less. Emma and Richard are forced to postpone the wedding to deal with the aftermath of the tragedy. As time goes on, though, secrets are slowly revealed, secrets that shake the very foundation Emma’s life was built upon. Her trust in everyone is shaken. This book is such a beautifully told story of dealing with not only grief, but betrayal. The growing relationship between Emma and Jack is her saving grace. But Jack has to return to the States when his research for a book he is writing is complete. And Emma’s life is in England. Throughout the book, we get little snippets of the ending, but until the very final pages, we don’t really know how it ends. And when you get there, you will be shocked. This book is full of emotion. It’s full of friendship, love, betrayal, forgiveness and hope. Dani Atkins has a way of weaving a tale like no other. Her books are not easily forgotten. And I can assure you, I will not soon forget this one. Eine wunderschöne Geschichte vor einem tragischen Hintergrund, mit viel Gefühl erzählt und spannend zu lesen. Der Verlauf ist zwar etwas vorhersehbar aber mit ganz vielen kleinen, unerwarteten Wendungen weiß man eigentlich doch nicht so Recht wohin das Ganze läuft. Und das emotionale Ende überrascht. Damals, der Unfall nach ihrem Junggesellinnen-Abschied, bei dem ihre Eine wunderschöne Geschichte vor einem tragischen Hintergrund, mit viel Gefühl erzählt und spannend zu lesen. Damals, der Unfall nach ihrem Junggesellinnen-Abschied, bei dem ihre beste Freundin Amy ums Leben kam. Die abgesagte Hochzeit, die Trennung von Richard und wie sich ihr Retter Jack langsam in ihr Herz geschlichen hat. Wie sie mit Amys Tod fertig werden musste, genauso wie ihre andere beste Freundin Caroline, die damals am Steuer saß. Wie sie Amys und Richards Geheimnis aufgedeckt hat, während sie ihrem Vater helfen musste mit der voranschreitenden Demenz ihrer Mutter klar zu kommen. Wenig Kitsch oder Klischee, dafür große Gefühle. Die Zeit nach dem Unfall ist eindrucksvoll bewegend dargestellt. Gefühle, die so lebendig und nachvollziehbar rüber gebracht werden. dass man in jeder Phase voll mitgeht und mitfühlt. Auch die Figuren sind toll ausgearbeitet und gezeichnet, dass man direkt ein Bild vor Augen hat. Vor allem Emma hatte mich direkt und ist eine tolle Protagonistin. Auch wenn man nicht immer genau wie sie handeln würde, kann man sie, ihre Gedanken und Gefühle nachvollziehen. Jack ist ein toller Typ, während Richard sich zunehmend unsympathisch macht. Beide bleiben aber interessant und leicht undurchsichtig, was die Story noch spannender macht. I really enjoyed reading this book, but it honestly wasn't something spectacular. I liked definitely liked the storyline, and even though the ending was not exactly how I predicted it to be, the book was rather predictable. Regarding the spectacularity, this book wasn't anywhere near Fractured, sadly enough. De boeken van Dani Atkins vind ik erg bijzonder. Ze schrijft niet bijzonder goed of knap vind ik, op enkele momenten in haar boeken na - die me dan zo enorm aangrijpen dat er een ugly cry aanval van meerdere minuten volgt. Dit boek, dit verhaal, vooral het begin, gaf me echt een brok in de keel. Je zou maar in die situatie zitten, mijn hart brak al een beetje. Ondanks de voorspelbaarheid van het verhaal bleef de brok in mijn keel zitten. Best knap. Ik had niet zoveel met de love triangle (#teamjac De boeken van Dani Atkins vind ik erg bijzonder. Ze schrijft niet bijzonder goed of knap vind ik, op enkele momenten in haar boeken na - die me dan zo enorm aangrijpen dat er een ugly cry aanval van meerdere minuten volgt. Ondanks de voorspelbaarheid van het verhaal bleef de brok in mijn keel zitten. Best knap. Ik had niet zoveel met de love triangle (#teamjack), maar ik vond het wel mooi dat het steeds werd opgehaald met die stukjes tussendoor. Deed me wel steeds afvragen voor wie ze zou gaan. Nou, ik kreeg precies waar ik om vroeg op de laatste bladzijde. Ik kan de exacte combinatie van twee woorden aanwijzen die mij doormidden braken en die in een heftige, lange huilbui resulteerden. Het was zo een mooi hoofdstuk met jarenlange liefde en inside jokes. Ik was er echt van overtuigd dat ik op hun bruiloft was. Toen er kleinkinderen ter sprake kwamen was ik even in verwarring, maar toen ging het weer door - wat lief en leuk zo op latere leeftijd. En toen had ik ineens door dat het Jacks begrafenis was. Oh jeetje. Daar ging mijn hart, in een miljoen stukjes. Oh zo mooi. I am a MASSIVE fan of Dani Atkins and her writing. Her first novel, Fractured, was one of the BEST books I read in 2013, so with this in mind I was eagerly anticipating her latest novel! Emma Marshall is so excited to marry Richard, her childhood sweetheart. But when there is a tragic accident, this changes everything – and unexpectedly brings a stranger, Jack, into her life. Jack is gorgeous and mysterious, like no one Emma has ever met before, but Richard is the man she loves. With two differen I am a MASSIVE fan of Dani Atkins and her writing. Her first novel, Fractured, was one of the BEST books I read in 2013, so with this in mind I was eagerly anticipating her latest novel! Wow. I was hoping for something good given how I had fallen in love with Dani’s first novel and The Story Of Us did not disappoint one bit. I LOVED Emma as a character – she is very down to earth and I really liked that – it made her so relateable and likeable. I truly wanted to be her friend for the book, to hug her when she needed it, to give her advice and to help her on her journey. I spent the book really rooting for her and hoping so much for a great outcome for her. I liked that I had absolutely no idea where the story would go, I like to be surprised and I really was, I didn’t expect any of what I read, and it was moving and heartbreaking and wonderful all at the same time. I felt so many emotions reading this book, and Dani Atkins is such a talented writer to be able to stir up and bring out all of these feelings in her characters and her readers too. The Story Of Us is so BEAUTIFULLY written, wow. I really wish I hadn't left this book languishing on my Kindle for so long, because it hands down has become one of my favourite romance reads this year. Emma and her best friends Amy and Caroline are involved in a tragic accident on their way home from Emma's Hen party. Jack, an American visitor stops to help, and ends up saving Emma's life. Strangely drawn to each other, Emma begins to question her relationship with Richard, her childhood sweetheart. Their wedding is postponed to allow them ti I really wish I hadn't left this book languishing on my Kindle for so long, because it hands down has become one of my favourite romance reads this year. Emma and her best friends Amy and Caroline are involved in a tragic accident on their way home from Emma's Hen party. Jack, an American visitor stops to help, and ends up saving Emma's life. Strangely drawn to each other, Emma begins to question her relationship with Richard, her childhood sweetheart. Their wedding is postponed to allow them time to cope with the accidents outcome, and during this period, a secret is revealed that devastates Emma, pushing her further away from him. Does her heart lie with Jack or Richard? Well, Dani Atkins takes you on a fantastic, somewhat emotional journey to find out! This is my first book by Dani Atkins. I'd not heard of her before but my friend was reading this so I thought I'd pick it up as well. Overall, I was entertained. I don't think it will be one to stick with me for too long but I was definitely interested as I was reading it. The best part was that Atkins created a story with really good, kind men. It's nice not to read about chest-pounding, over-bearing alphas sometimes. The first half had me appreciating the way she gradually revealed her story. This is my first book by Dani Atkins. I'd not heard of her before but my friend was reading this so I thought I'd pick it up as well. *ARC provided by NetGalley and Random House/Ballantine Books in exchange for an honest review. The Story of Us is so much more than meets the eye. I was expecting a pleasant contemporary romance but what I got was an emotional tale that touches on themes of grief, infidelity, love, friendship, family, and so much more. Emma is days away from marrying childhood sweetheart Richard but the night of her bachelorette party takes a tragic turn when an auto accident ends with a horrific loss. Thankfully, Emma was pulled from the wreckage by Jack, who happened upon the scene of the accident, and quite literally saved her life. The impact of the accident is far-reaching as truths are revealed even as Emma is struggling to deal with her grief. The aftermath of that night includes the postponement of Emma’s wedding to Richard. As Emma struggles to adjust to life after the accident, she finds herself drawn to Jack and feeling a connection to him that has her questioning her feelings for her fiancé. Is it gratitude she feels toward Jack for saving her life… or something more? Dani Atkins is a remarkable storyteller and I was captivated from the very beginning. What I loved most about The Story of Us is how completely realistic it felt. It wasn’t angsty or melodramatic but instead felt totally plausible. Emma was faced with situations where there were no easy answers. Atkins never took the easy way out by creating heroes and villains. Characters were imbued with human flaws and weaknesses but also love and compassion and kindness. There were times I truly wanted to dislike certain characters and it’s a credit to Dani’s writing that I was often conflicted and felt empathy for those same characters. The few flash-forward sections interspersed throughout the book were so cleverly done. Kudos to Atkins for those just-vague-enough snippets which kept me guessing and ultimately led to a conclusion that had me shedding tears. My only quibble: I would loved to have seen the aftermath of Emma’s decision and been able to enjoy more of the couples’ life together beyond the journey of them coming together. But this in no way detracted from my reading experience. The story was realistic and heartbreaking and heartwarming and I loved it. The Story of Us is top-notch contemporary romance/women’s fiction with substance and I highly recommend it. Sehr, sehr, sehr vorhersehbar. Ich wusste nach den ersten 10 Seiten um was es gehen würde. Es gab keinen wirklichen Wendenpunkt, alles lief genau auf das hinaus was ich vermutet hatte. Keine Kreativität oder Spannung, weil die Hinweise quasi Neonleuchtreklamen waren. Echt schade. Terwijl ik de laatste bladzijde omsloeg, veegde ik stiekem de traan die over mijn wang rolde weg en trok ik de mouwen van mijn vest omlaag om de mierentietjes te verbergen. Ik weet niet wat het precíés is wat mij zo heeft gegrepen, maar feit is dat ik het zeer zeker niet heb drooggehouden. Bij Fractured, het eerste boek dat ik van Dani Atkins las, had ik hetzelfde gevoel. Als de vriendinnen Emma, Amy en Caroline terugrijden van de gezellige bachelorette van Emma, staat er ineens een dier op de we Terwijl ik de laatste bladzijde omsloeg, veegde ik stiekem de traan die over mijn wang rolde weg en trok ik de mouwen van mijn vest omlaag om de mierentietjes te verbergen. Ik weet niet wat het precíés is wat mij zo heeft gegrepen, maar feit is dat ik het zeer zeker niet heb drooggehouden. Bij Fractured, het eerste boek dat ik van Dani Atkins las, had ik hetzelfde gevoel. Als de vriendinnen Emma, Amy en Caroline terugrijden van de gezellige bachelorette van Emma, staat er ineens een dier op de weg. Ze moeten uitwijken en krijgen een heftig ongeluk. Amy is uit de auto geslagen, Caroline verkeert in shock en Emma kan geen kant op omdat de auto over haar benen verbogen is. Terwijl Caroline gaat kijken hoe het met Amy gaat, wordt Emma gered door de Amerikaanse auteur Jack. Ik kan nu nog veel meer over het plot gaan vertellen, maar dat zal alleen maar betekenen dat ik spoilers ga plaatsen en dat is zonde. Het is een boek waar je eigenlijk gewoon blind in zou moeten gaan. Atkins weet wederom een emotioneel verhaal neer te zetten, wat mij in elk geval van begin tot eind bij mijn strot heeft vastgegrepen. Niet alleen liefde en familie spelen een grote rol in het boek, maar ook meerdere manieren van verraad, vergeving en omgaan met problemen. Vooral Emma wordt in het boek verraden en de manier waarop ze dit een plaats in haar leven geeft en ermee om leert te gaan is benijdenswaardig. Haar moeder kampt met dementie en er wordt op een mooie manier weergegeven wat voor impact dit op liefhebbenden heeft. Helaas is het niet allemaal rozengeur en manenschijn, want het plot van het boek is helaas voorspelbaar, alhoewel Atkins toch goed haar best heeft de gedaan hier verandering in te brengen. Ze sluimert af en toe een vaagheid door het verhaal heen om de lezer op het verkeerde been te zetten. Niet iedereen zal hiervan houden, maar ik geef toe dat ik het heerlijk vond :-). I was absolutely hooked on this story in the beginning but didn't like how the author made the reader like and dislike the two love interests for the sake of convenience. Two weeks from getting married to her longtime on-and-off boyfriend Richard, Emma is in a car accident with two of her best friends. The accident is the catalyst for the new path her life will now take. The man who saved her life—Jack—left an impression on her and she can't seem to stop thinking about him and soon finds herself falling for him. Outside her love life, you learn that Emma has pressed pause on her career in marketing to help her ailing mother. The Alzheimer's disease continues to progress, slowly stealing the person Emma knows as her mother. After the accident, Emma uncovers secrets that make her question everything, torn between the life she wants and the life she had mapped out. The beginning of this book was so good. I was riveted and couldn't put it down. The way the car crash and the moments afterward were written had me glued to the pages. I also really liked the developing romance between Emma and Jack. One of the themes I liked about this novel was the strength and bond of friendship. Caroline, Amy, Emma, and Richard had been best friends for many, many years. In the face of tragedy, they clung to one another and the memories that comfort them. I really admired the way that Richard cared for not just Emma but her family too. What kept me from rating this book higher and from enjoying it more was the way the author toyed with your opinions of the two male leads. In the beginning, Richard came across as selfish, jealous, and irritating. It was almost like the author really wanted the reader to dislike him so that you favored Jack more. Meanwhile, Jack was portrayed as the patient, kind, thoughtful, and heroic type who takes Emma on romantic walks to the lake. Then later in the novel, the author begins to rehabilitate Richard's character so that you like him while tearing down Jack's character. I did appreciate that this wasn't the type of love triangle romance where the heroine is annoyingly going back and forth between the guys, unable to make a choice. It felt like it was the reader, rather than the heroine, who was tossed between the two guys because of the reader's perception of the male characters shifted so often at times of convenience. I didn't like the author trying to make the choice for me. The end result just felt far too contrived, and really I was hoping that she didn't choose either of them. Ich habe "Fractured", den Debütroman von Dani Atkins, absolut geliebt und es war eines meiner Jahreshighlights im Jahr 2014, dementsprechend hoch waren meine Erwartungen an ihren zweiten Roman. Nach dem Lesen bin ich nun etwas hin und her gerissen, denn die Geschichte hat mir zwar gefallen, aber sie konnte mich leider nicht so tief berühren wie "Fractured". Ein Grund dafür ist vermutlich, dass man gleich zu Beginn mitten ins Geschehen geworfen wird, die Charaktere noch nicht wirklich kennt und somit konnte ich nicht so mitfühlen bzw. die Ereignisse haben mich nicht so berührt wie sie es vielleicht zu einem späteren Zeitpunkt getan hätten. Im Laufe der Geschichte wachsen die Charaktere einem schon ein wenig ans Herz, aber es ist auch ein wenig vorhersehbar. Zum Ende gab es zwar noch mal einen Moment, an dem ich gezweifelt habe, ob die Geschichte wirklich so weitergeht wie erwartet. Insgesamt ist die Handlung aber etwas an mir vorbeigeplätschert, ohne mich wirklich mitreissen zu können. i loved dani Atkins first novel fractured so much I gave it 5 stars. I was excited to begin this. at first I wondered if it was the same book or some sort of follow up. when I realised it wasn't I began to feel it was in no way as good as the first novel and entirely chic lit. disappointed I read on. neat little twist at the end but basically quite contrived. and and this is my pet hate... it finished at 83%!! Dani Atkins heeft weer een prachtig boek omschreven. Ik kan alleen maar beamen, ten opzichte van andere reviews die ik gelezen heb, dat Dani op de een of andere manier gevoelens op de juiste manier weet te omschrijven en ze daadwerkelijk ook toonbaar/gevoeld worden door de lezer. Ik word meegesleurd in emoties/gevoelens in het verhaal door de manier waarop Dani haar woorden neerzet op papier. In the Story of us gaat het eigenlijk om een verhaal van Emmy. Emmy zegt haar baan in de drukke stad Lon Dani Atkins heeft weer een prachtig boek omschreven. Ik kan alleen maar beamen, ten opzichte van andere reviews die ik gelezen heb, dat Dani op de een of andere manier gevoelens op de juiste manier weet te omschrijven en ze daadwerkelijk ook toonbaar/gevoeld worden door de lezer. Ik word meegesleurd in emoties/gevoelens in het verhaal door de manier waarop Dani haar woorden neerzet op papier. In the Story of us gaat het eigenlijk om een verhaal van Emmy. Emmy zegt haar baan in de drukke stad Londen op om weer bij haar ouders te wonen en dicht bij haar verloofde Richard. Ze verhuisd naar haar ouderlijke stad om haar ouders te helpen bij de achteruitgang van haar moeder. Niet wetende dat er een vreemde in de stad is gaan wonen die op een noodlottige avond Emmy weet te vinden. Vanaf hier gaat het niet zo zeer meer om het verhaal van Emmy en Richard maar om Emmy en de vreemde. De manier hoe alle personages met elkaar samenhangen is prachtig beschreven. Ieder heeft zijn aandeel, ieder heeft zijn eigen gevoelens en Dani weet dit echt over te brengen. At the end of last year I had the pleasure of reading Dani Atkins' beautiful, mesmerising and haunting debut novel, Fractured. After finishing it I knew that I had read something truly special and I was amazed that it was the author's first novel, because it was already that good. Nachdem mich Frau Atkins letztes Jahr mit "Die Achse meiner Welt" sehr überzeugen konnte (und mich sogar zum weinen brachte), habe ich mich sehr auf ihr neuestes Werk gefreut. Jedoch muss ich sagen: Von "Die Nacht schreibt uns neu" habe ich tatsächlich mehr erwartet. Die Handlung beginnt mit dem Unfall, in dem Emma und ihre besten Freundinnen Amy und Caroline verwickelt waren und bei dem Amy ihr Leben verlor. Damit steigt Dani Atkins sehr dramatisch in die Handlung ein. Anschließend lernt man ein Nachdem mich Frau Atkins letztes Jahr mit "Die Achse meiner Welt" sehr überzeugen konnte (und mich sogar zum weinen brachte), habe ich mich sehr auf ihr neuestes Werk gefreut. Jedoch muss ich sagen: Von "Die Nacht schreibt uns neu" habe ich tatsächlich mehr erwartet. Die Handlung beginnt mit dem Unfall, in dem Emma und ihre besten Freundinnen Amy und Caroline verwickelt waren und bei dem Amy ihr Leben verlor. Damit steigt Dani Atkins sehr dramatisch in die Handlung ein. Anschließend lernt man ein wenig die Charaktere und ihre Geschichten kennen. Wie auch schon bei Atkins vorherigem Buch, sind es keine Charaktere, die mir lange im Gedächtnis bleiben werden. Zudem wirken sie auch alle nicht sonderlich sympathisch. Die einzige, die ich wirklich noch mochte war Protagonistin Emma, mit der man sich verbunden fühlen und mit der man gekonnt ihre Höhe und Tiefen erleben kann. Ihr Verlobter Richard dagegen war von Anfang an unsympathisch und egal wie sehr Emma auch versucht seine positiven Seiten hervorzuheben, so waren die beiden nie ein Traumpaar für mich. Auch ihre beste Freundin Caroline konnte nicht bei mir punkten, da sie offenbar immer der Meinung war zu wissen, was das beste für Emma ist und ihr ständig in Emmas Entscheidungen reden wollte. Von einer besten Freundin erwarte ich etwas anderes. Und dann wäre da noch Jack. Jack, der in der Unfallnacht Emma das Leben gerettet hat und der weitaus sympathischer scheint als Richard, aber gleichzeitig immer sehr geheimnisvoll rüberkommt, da er nur das Nötigste von sich erzählt. So spannend die Geschichte auch angefangen hat, so wurde sie im Verlauf leider immer vorhersehbarer, sodass ich für mich keinen großen Überraschungseffekt ausmachen konnte. Teilweise wurde es sogar sehr klischeehaft. Die Handlung fand ich nicht annährend so emotional, wie erwartet. Sicherlich hat mit Amys Tod schon berührt, niemanden lässt sowas kalt. Aber danach gab es nichts großartiges mehr, was mich berühren oder sogar zum weinen gebracht hätte. Dani Atkins streut in die Handlung immer wieder das Thema Alzheimer ein, was die gefühlvolle Ebene sicherlich noch verstärken sollte, für mich persönlich dann aber zu wenig behandelt wurde, da der Fokus der Geschichte eindeutig immer wieder auf der doch sehr konstruierten Dreiecksbeziehung Emma-Richard-Jack lag. Dafür konnte die Autorin mich mit dem Ende mal wieder vollkommen überraschen. Während der Handlung gibt es 6 kleine Kapitel, die das Ende vorwegnehmen und als Leser denkt man, man weiß genau was einen erwartet. Weit gefehlt, denn das Ende ist erneut so ganz anders als vermutet. I found myself scanning back over the pages to reread parts trying to pick up on clues I may have missed. I found the ending a little abrupt as I was desperate to find out more about their lives together. The story was amazing as I laughed and cried. Will definitely read more from this author. Мне настолько понравилась "Виновата любовь? ", что увидев новую книгу Дэни Аткинс в магазине - взяла не раздумывая. Начало показалось настолько банальным, что я думала - где то тут подвох, все не может быть так просто..Ближе к концу - блин, да не может быть у нее все просто обычным романчиком.. А потом финал..и опять как мешком по голове..
Я уже жду следующую книгу! OMG I HATED THIS BOOK, AND I LOVED THIS BOOK!!! Much preferred Fractured but this was still a fairly good read. Emma Marshal ist 27 Jahre alt, als sie ihren Job in London aufgibt und zurück in ihre kleine Heimatstadt zieht, um ihrem Vater bei der Betreuung ihrer demenzkranken Mutter zu helfen. Fünf Jahre sind vergangen, seit sie das verschlafene Städtchen verließ, doch scheinbar hat sich nichts geändert: ihre zwei besten Freundinnen Amy und Caroline sind ihr genauso nahe wie früher und auch mit ihrem Exfreund Richard knüpft sie an die alte Beziehung an. Nach einem Jahr neu entflammter Liebe macht er ihr sogar einen Heiratsantrag. Emma ist glücklich, als sie ihren Junggesellinnenabschied im Kreise ihre Freundinnen feiert, doch auf der Rückfahrt der Party passiert ein schrecklicher Unfall, der ihr ganzes Leben auf den Kopf stellt. Der attraktive Amerikaner Jack rettet sie in letzter Minute aus dem Unfallwagen und sorgt seit diesem Abend für ordentlich Gefühlschaos in Emmas Leben. Als Emma klar wird, welche schrecklichen Folgen der Unfall hatte, ist für sie nichts mehr, wie es vorher war. Lange habe ich mich auf dieses Buch mit dem umwerfend schönen Cover gefreut. Atkins’ Debütroman “Die Achse meiner Welt” hat mir vor zwei Jahren sehr gut gefallen, umso gespannter war ich auf ihr neues Buch. Leider konnte mich “Die Nacht schreibt uns neu” trotz solider Grundidee und überwiegend sympathischer Charakteren nicht überzeugen. Dani Atkins Schreibstil empfand ich als zu gewollt, zu umständlich formuliert und schlichtweg unangenehm zu lesen. Die Dialoge waren gestelzt und schäumten nur so über vor übertriebener britischer Höflichkeit. Ich denke nicht, dass irgendjemand so redet. Und auch wenn ein Liebesroman durchaus ein bisschen kitschig sein darf, so finde ich es doch besonders wichtig, dass die Dialoge und Interaktionen zwischen den Personen authentisch wirken. Und das war bei diesem Buch leider nicht der Fall. Die Handlung wurde seitenweise unnötig in die Länge gezogen. Deswegen empfand ich das Buch leider als langweilig und bin auch nur sehr mühsam vorangekommen. Außerdem waren einige Dinge, die dem Leser häppchenweise serviert wurden, um später einen Überraschungseffekt zu erzeugen, einfach sehr vorhersehbar. Emma braucht z. B. 200 Seiten, um etwas zu kapieren, dass der Leser von Anfang an weiß. Protagonistin Emma, aus deren Sicht die Geschichte in der Vergangenheitsform erzählt wird, wurde mir zu naiv, widersprüchlich und vollkommen altmodisch konstruiert. In ihren Ansichten repräsentiert sie wohl eher die 58-jährige Autorin wieder, aber wohl kaum eine 27-jährige Frau. Einige Nebencharaktere konnten der Geschichte einen gewissen Charme verleihen, allen voran die herrlich direkte, wild fluchende Monique – Emmas französische Chefin aus der Buchhandlung. Im Buch werden ernste Themen angesprochen, die Emma verarbeiten muss, z.B. die Folgen des Unfalls und die Probleme, die die Krankheit der Mutter mit sich bringen. Beides federn die seichte Liebesgeschichte ab und bringen etwas Tiefe in die Handlung. Nachdem Emma sich ihre Gefühle für ihren heldenhaften Retter Jack endlich eingestanden hat, bleibt es lange offen, für welchen der beiden Männer in ihrem Leben sie sich schlussendlich entscheidet. Das wäre fast spannend, wenn es nicht trotzdem so vorhersehbar wäre. Das Ende kam total überraschend – diesmal wirklich, falls ihr euch an dieser Stelle denkt: “Jaja, das haben auch alle von Die Achse meiner Welt gesagt, dabei wusste man von Anfang an, was Sache ist”, kann ich euch beruhigen. Zwischen den Kapiteln gibt es sechs kleine Einschübe, die den Leser in eine bestimmte Richtung denken lassen, doch nichts ist, wie es scheint. Wahrscheinlich ist es einzig und allein dem guten Ende zu verdanken, dass ich das Buch nicht grottenschlecht fand. Emma is out on the night of her bachelorette party with her two best friends Caroline and Aimee. Emma is soon to get married to her childhood sweetheart Richard. Tragedy strikes, when she is a car accident with her two best friends. One of the best friends doesn't survive, and Emma is ultimately saved by Jack. Now, Emma feels an emotional connection and a bond with Jack, she looks at him for comfort and relief because he was there when everything happened, he tends to understand the most. Emma and Richard both agree to postpone their wedding to a later date. Soon, hidden secrets surface and now Emma is questioning all of her relationships. Emma is in love with two men, and she finds herself conflicted. Before everyone freaks out about the premise, let me just clear it that the heroine does not cheat, and she does not run back and forth between two guys. At first, I assumed that is what The Story Of Us would contain, but imagine my surprise when it didn't. This was a pleasant read overall, I'm surprised I liked it so much. I'm not the biggest fan of the cover though, I preferred the previous cover much more. Although, this is one novel someone can lose themselves into - it had my attention since the very first chapter. I did enjoy this book beginning to the end. Emma and Jack are both brilliant characters, there's nothing about them that I actually disliked. I wasn't the biggest fan of her fiance Richard though, so of course the team I was rooting on was for Jack! There is no instant love in this novel at all, Emma and Jack's first meeting was at a car accident, so they barely glanced twice at each other's faces. Although, there is an instant connection with them, I can understand why though. Jack saved Emma's life, and he was there for her when the tragedy occurred. She was on the verge of dying, stuck in the car where the petrol was leaking as well. She couldn't escape, but Jack choose to help her instead of walking away, and he was a complete stranger. I wonder how many people would risk their lives for STRANGERS? More people like Jack should exist please, yes to humanity! I wonder if the name Jack was chosen because of Jack from Titanic, they both pretty much do the same thing. Even though Emma and Jack are complete strangers, and they don't even know each other - that connection exists and it's fantastic. I didn't mind at all, I would make an exception because in these circumstances I would totally understand. Once again, Emma does not cheat, she stays loyal and faithful to her fiance. I laughed and giggled at many conversations between Emma and Jack. I also loved how they began their relationship with genuine friendship. The female friendship aspect was intriguing as well, true friendships usually win me over. Furthermore, Emma's mother has Alzheimer disease so the mental illness awareness was fantastic as well, and how Emma chose to cope with it. I have so much respect for Emma, many children leave their parents in nursing homes but she takes care of her mother at her parents house. The plot was interesting when the hidden secrets come to surface, now Emma is questioning all of her relationships. I couldn't wait to find out what happens next. The writing and dialogue of the novel was wonderful, there's nothing about this book that I actually disliked besides the fiance Richard. I do wish the pace at times was more faster though, the book is quite long otherwise it's a gem. This novel has romance, family drama, mental illness, and also true friendships. Dani Atkins lässt uns ihre Geschichte von Emma in der Ich-Form erzählen. Dabei springt sie ab und zu auch mal in der Zeit. Zuerst wird der Leser darauf aufmerksam gemacht, was gerade in der Gegenwart passiert, bevor anschließend die ganze Tragödie Schritt für Schritt erklärt wird. Zusätzlich zu dem schrecklichen Unfall, den Emma und ihre Freundinnen erleben müssen, erfahren wir außerdem auch noch etwas über eine Krankheit, die leider immer präsent sein wird und über viel mehr, als Liebe, Freundschaft, Vergebung, Hoffnung... Ach, eigentlich bekommen wir mit dieser Geschichte wirklich jegliche Emotionen mit voller Wucht zu spüren, die es gibt. Zitat aus: "Die Nacht schreibt uns neu"
Ich empfand schon den Beginn der Geschichte als äußerst emotional und hatte das Gefühl, als würde ich mit den Freundinnen zusammen in dem Auto sitzen, als es zu dem tragischen Unfall kommt. In dieser Situation habe ich Emma zum ersten Mal bewundert, denn wie sie damit umgeht, ist vorbildlich. Schon früh habe ich geahnt, worauf das alles wohl hinauslaufen wird, doch diese "Vorkenntnis" hat mich in keinster Weise in meinem Lesefluss, oder Lesespaß beeinträchtigt. Eher das ganze Gegenteil war der Fall: Ich habe es genossen Emma zu begleiten, die vielen Situationen mit ihr gemeinsam zu bestreiten, mit ihr zu weinen und gleichzeitig mit ihr zu lachen. Es war für mich spannend zu lesen, ob ich mit meiner Vermutung Recht behalten sollte, oder ob der Plot vielleicht doch noch eine ganz andere Richtung annehmen würde. Nicht nur die Geschichte von Emma und den Verlust ihrer besten Freundin hat mich zutiefst berührt, sondern auch das Schicksal, welches ihre Mutter erleiden muss. Wie die Familie damit umgeht, hat mich sehr nachdenklich gestimmt und auch ein bisschen betrübt. Der Schreibstil ist wie gewohnt einfach herausragend gut, aber das hat Dani Atkins ja auch schon mit "Die Achse meiner Welt" zeigen können. Es geht sehr flott voran und ist stellenweise schon sehr tiefsinnig. Wer "Die Achse meiner Welt" gemocht hat, dem wird es auch in "Die Nacht schreibt uns neu" so ergehen. Dani Atkins hat eine wundervolle Art zu Schreiben und der Geschichte Leben einzuhauchen. Sie spricht viele Themen an, die einen nachdenklich stimmen und schafft es stets, jegliche Emotionen auf den Leser zu übertragen. 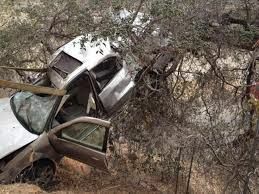 All fatal auto accidents are tragic. But if it's possible for one to be extra tragic, then it's a fatal accident involving members of a wedding party days before the wedding takes place. Emma and Richard have been together forever, except for several years after college when she moved away. She broke up with him then, believing it was necessary in pursuit of her career and, just as important, her personal growth. She loves her boyfriend and her hometown, but both started to feel a little too smal All fatal auto accidents are tragic. But if it's possible for one to be extra tragic, then it's a fatal accident involving members of a wedding party days before the wedding takes place. Emma and Richard have been together forever, except for several years after college when she moved away. She broke up with him then, believing it was necessary in pursuit of her career and, just as important, her personal growth. She loves her boyfriend and her hometown, but both started to feel a little too small. Family circumstances necessitate her return, and this is important because Emma would not have come back home if it weren't for her parents. But when she does, she and Richard quickly resume their relationship. Are they destined to be together? 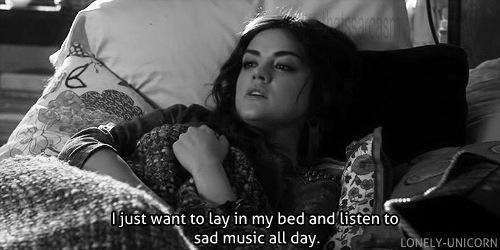 Or does it just feel that way? Emma has to confront this question when she and her two closest girlfriends return home from their hen night. An accident occurs, as does a heartbreaking loss. Rescued from certain death by a handsome American stranger, Emma finds herself drawn to him. Jack is dashing, yes, and he seems as bemused by Emma as she is by him. He is every bit as compelled to be with her as she is to be with him. But why? Is it out of a misguided sense of gratitude or heroism? Or is there a real connection there? Emma's family and friends have their opinions on the subject, but this is not something she can allow others to decide for her. She has to determine, for her sake as well as Richard's and Jack's, which man is the man for her. If one of them is her soul mate, which one is it? Could it be possible that neither is? Dani Atkins takes you through Emma's mental and emotional debates, detours, and decisions. Will she pick Richard? Jack? Or will she choose independence? Atkins weaves a teaser about that choice throughout the book, making you think something in particular will happen. She also has a tendency to end chapters on a cliffhanger, something along the lines of Emma telling someone she loves him, but you don't know whom until into the next chapter. It feels gimmicky and manipulative, and I wanted to tell Dani Atkins that she is a good enough writer to not have to rely on that kind of thing. But ... I really liked this book, and I liked Emma. I also liked that neither Richard nor Jack comes off as a bad guy. Both of them are round, flush characters, when one - or both - could have been predictable and static. There are a couple of subplots, one involving one of the two friends in the car with Emma and the other involving one of her parents, and both of those seem a bit too familiar and not nearly as dynamic as the rest of the book. As the narrator, Emma is someone we have to like and trust. Dani Atkins nails this character, letting us see Emma's vices and virtues. She's judgmental and harsh, and the hypocrite in her despises secrets when they involve her, but stocks up plenty when they benefit her. You undoubtedly will form your own opinions regarding which man she should choose; all the while, though, you trust that Atkins will have Emma make the right decision for her. Be prepared to laugh (or at least chuckle) every now and then, and be prepared to cry a little bit. Emma does not have an easy decision to make regarding her future, and the process she goes through will occasionally batter her and occasionally comfort her.